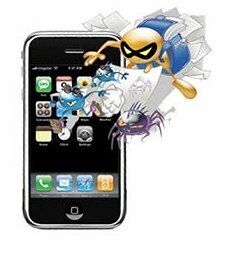 A new virus appear on internet to attack iOS. The distribution of the destructive virus happens with a App from internet pages about Fake Jailbreak presentation called: “UNLOCK NOW FREE”. Do not go to this page from iOS device. If you do this, however, you’ll see -10-15 seconds of an animation followed by the text: “DOWNLOAD UNLOCK 2 NOW FREE”. Then it’s already too late and your information will be cleared (SIM and idevice information). If you search information about Jailbreak or Unlock for iPhone or iPad –> search this information from Mac or PC, but don’t do it this from iOS device. To stop this virus it is necessary to inform all internet users as soon as possible so this virus gets NO chance to survive.